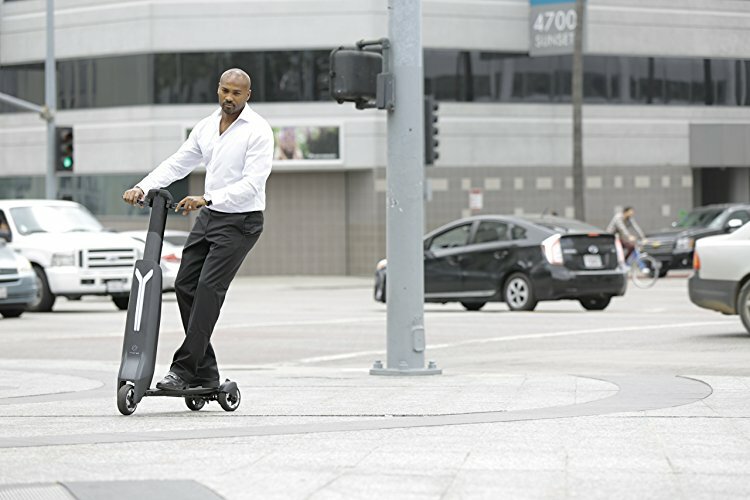 The Immoter Go is a three-wheeled electric scooter that was specifically designed for the city commuter. It weighs only 30 pounds and can easily fold up to become more portable. It has a top speed of 16 miles per hour with a 16 mile range. While three wheels make it a very stable scooter to ride, it consequently can be more difficult to turn and can’t reverse. 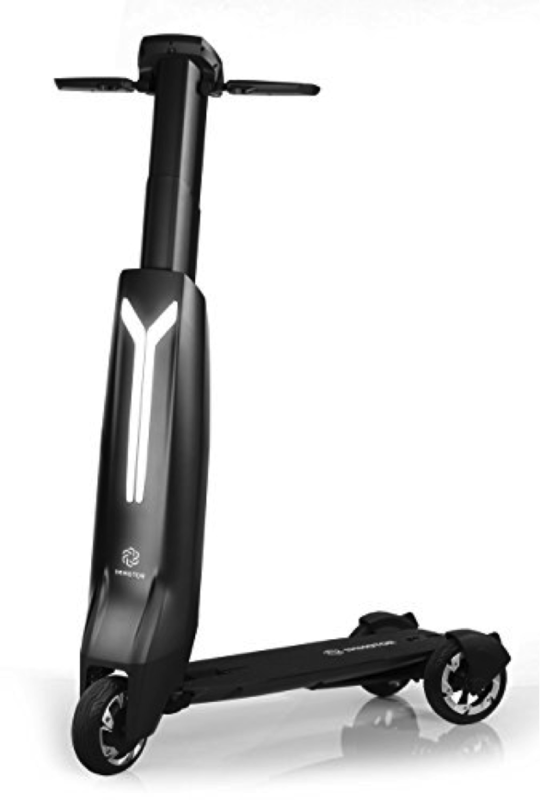 Regardless of the kinks, it’s a perfect scooter for someone with a city commute. 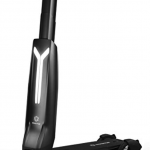 •Up to 16 mph top speed and 16 mile extended range and syncs to your smartphone and delivers a customizable commute. It’s a great idea, and I don’t think it has too far to go, but the reality of the Immoter Go does not merit the expensive price tag. It’s shaky, jerky, and uncomfortable. I hope they can fix all of these issues because I love a lot of other things about the design. The batteries can be swapped out and the app that accompanies the scooter is fantastic. I’ll be staying tuned for any future revisions to the design. I’ve had a few issues with the Immoter, which frankly for the price is very disappointing. The battery dies very quickly. Once it begins to die, the speed also drops dramatically. The scooter can’t reach the advertised 16mph speed and so far mine can only hold at 12mph. The brake is finicky. So dangerous! I’ve had to bail on more than one occasion. Hopefully they can work these issues out soon, it was otherwise so promising!